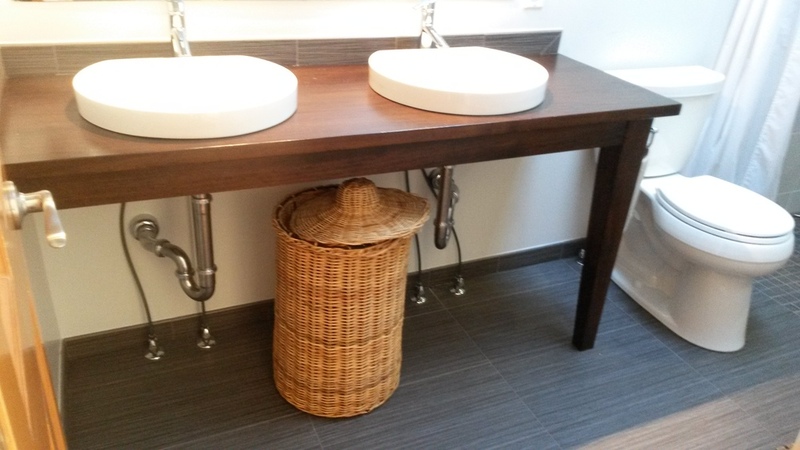 Marion Bathroom — Loomis Improvements Inc. This wonderful old house in dowtown Denver had this bathroom added on 20 years ago. Our clients felt that 2015 was a great year for an uplift. For this downtown remodel we left the walls where they were but created a walk-in shower where the tub was. 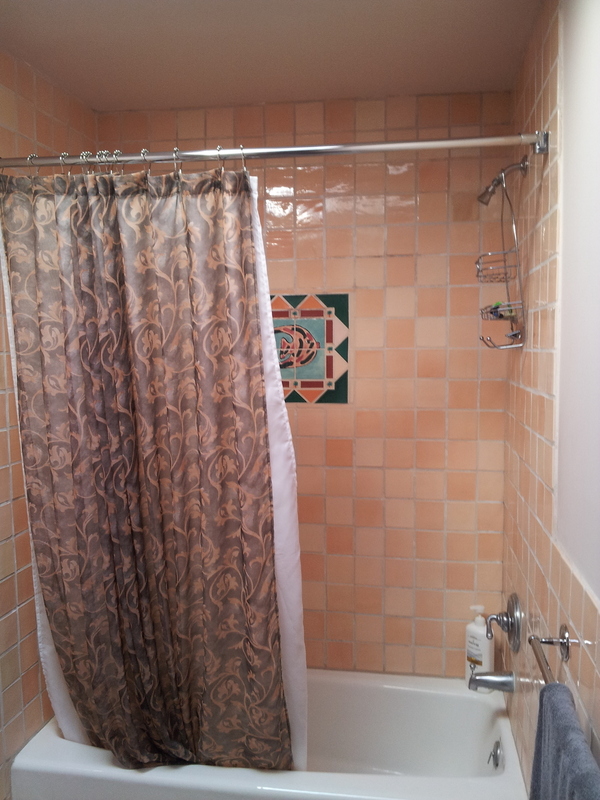 We used 1'x2' porcelain tile for both walls and floor, except in the shower floor, where we used 2" squares. 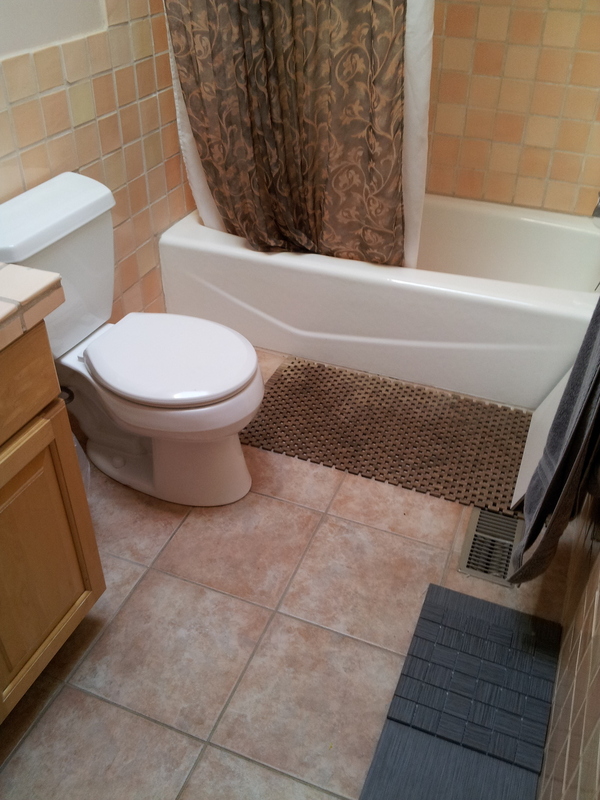 We installed a curbless flooring system and a linear drain making this new master bathroom very modern. The sliding glass shower door was sandblasted creating a privacy panel. At 3' x 5' this double headed shower feels very spacious. Using the shampoo niche instead of a shelf helps.